Young Farmers' Clubs members came to the rescue when a Torbay Youth Service minibus carrying local pupils got stranded on top of a low wall near the bowling green on Friday afternoon. NFYFC national president Lionel Hill MBE lent his weight to the rescue mission, helping as passing YFC members pitched in to lift the minbus off the wall and back on to the road. The National Federation of Young Farmers’ Clubs (NFYFC) will be holding a one-minute’s silence during its annual general meeting in Torquay on Sunday 25 April as a mark of respect to those members of the farming community who have lost their lives in accidents at work. The tribute is part of the NFYFC’s efforts to help reduce the number of deaths and accidents in the agricultural industry by backing the HSE’s Make the Promise campaign which is being championed by NFYFC vice chairman James Chapman, who lost his arm in a farming-related accident. Promise knots are being given out to Young Farmers’ Clubs members from across England and Wales who are travelling to Torquay over the weekend for the NFYFC’s AGM and annual convention at the Riviera International Centre as a reminder to pledge to come home safe from the fields to their families. According to the HSE, working in agriculture remains one of the most dangerous ways to make a living. It accounts for around one in five work-related deaths every year, although only 1.5 per cent of the working population is employed in the sector. Across Great Britain, 38 workers lost their lives in farming-related incidents between January and November 2009 and HSE figures for 2008/09 show that 589 people were seriously injured in farming accidents. Nearly 15,000 farmers have already signed up to the campaign, and James Chapman, is calling on all 25,000 YFC members to support the campaign. “The National Federation of Young Farmers’ Clubs has proudly made the promise to come home safe. Encouraging farmers to work safely has always been one of our key priorities. “I know only too well what can happen when safety isn’t put first. A few years ago, I lost my left arm when it was caught in an unguarded PTO shaft. It only happened because I, like many farmers, was working under pressure trying to get a job done as quickly as possible. “Today I regularly speak to young farmers, using my experience positively as a warning of how important it is that they take the time to consider their safety and what can happen if they don’t," says James. Three men, three vehicles, three wheels... one mission! Del Boy would be proud! 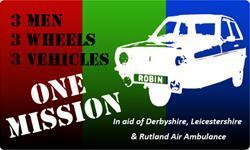 Three members of Bakewell YFC will be trundling down from Derbyshire to Torquay in three Reliant Robins painted in tractor colours in a bid to raise cash for Derbyshire, Leicestershire and Rutland Air Ambulance. The three-wheelers have been painted in the colours of John Deere, New Holland and a Valtra tractor, by Richard Eley, Carl Bradbury and Karl Mycock, so should be easy enough to spot on the way to the annual convention. They hope to make their 271-mile trip in around seven hours, and will be stopping in towns and villages along the way to try to boost the £450 in cash they have already raised. 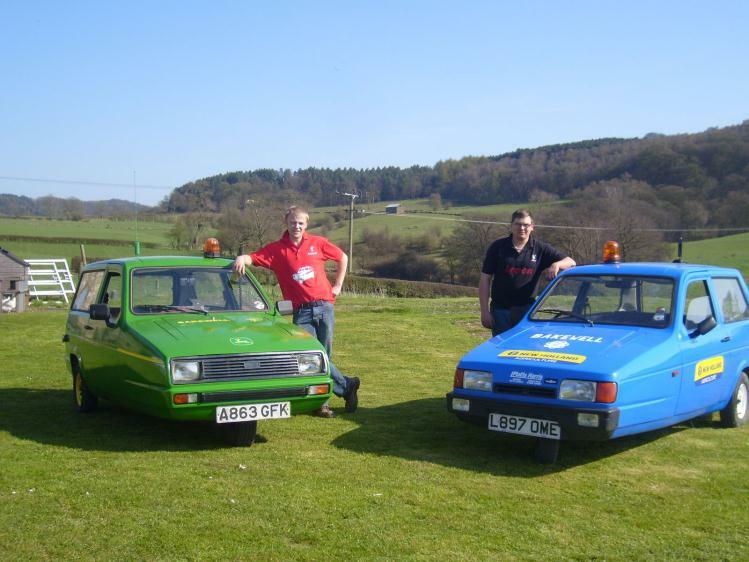 "It has never been done in Reliant Robins before so we thought it would raise a laugh and raise some cash for the air ambulance, which is a vital service in rural areas. We have CB radio to stay in convoy on the way, but there isn't a lot of room in these cars so it's not exactly comfortable," said Richard Eley. And they’re off! Young Farmers’ Club members from across England and Wales have begun making their way to the National Federation of Young Farmers’ Clubs annual convention and AGM being held in Torquay from 23-25 April. Clubs attending the event are using the journey to Torquay to raise thousands of pounds for charity on the way, many of them rising to the challenge issued by NFYFC chairwoman Helen Roberts for the organisation to raise £100,000 for the Royal Agricultural Benevolent Institution (RABI), which is marking its 150th anniversary this year. The four Kent YFC cyclists who set out on their 300-mile journey aiming to raise £2,000 for RABI, have already passed that figure and will now exceed £3,000 by the time their journey is over. 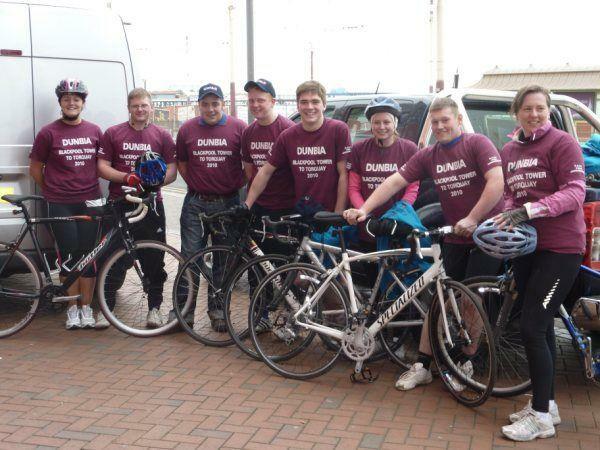 Lancashire YFC’s team of ten cyclists (pictured above) have also waved farewell to Blackpool Tower and are confident of doubling the money they have already raised by the time they reach Torquay. Other clubs are raising cash travelling on quad bikes and home-made amphibious vehicles. Many other fundraising efforts are being undertaken and NFYFC president Lionel Hill MBE will be wading in with a sponsored wellie-wearing effort, also for RABI. Among highlights of this year’s convention is the NFYFC Agriculture and Rural Affairs Forum, on Saturday 24 April, which will debate future Common Agricultural Policy (CAP) reform, affordable rural housing and securing successful farming futures with representatives from Defra, the European Commission and a panel of other industry experts. Event sponsors include Mole Valley Farmers, Torbay Cab Company, HOPS Labour Solutions, Farmers Guardian, Robert Wiseman Dairies and Defra, and the convention will contribute an estimated £1.5million to the local economy of Torquay. An exciting new travel scholarship offering a young British farmer a chance to work on a sheep farm in New Zealand will be unveiled at the annual convention in Torquay on Sunday 25 April. The first Young Farmers’ Clubs (YFC) scholar will travel to New Zealand later this year and spend up to a month gaining hands-on experience on New Zealand sheep farms, as well as having the opportunity to travel in the country. While in New Zealand, the recipient of the scholarship will also receive a comprehensive background briefing on the problems caused by wormer resistance and learn how farmers there are tackling it. The scholarship is being provided by Novartis Animal Health (NAH) as part of its long-term commitment to the sheep industry and its support for Britain’s young farmers. Welcoming the award, NFYFC operations manager James Eckley said: “NFYFC is committed to helping its members working in the agricultural industry secure successful farming futures. Other highlights of this year’s convention are the NFYFC Agriculture and Rural Affairs (ARAC) Forum, on Saturday 24 April, which will debate future Common Agricultural Policy (CAP) reform, affordable rural housing and securing successful farming futures with representatives from Defra, the European Commission and a panel of other industry experts. The forum builds on ongoing work in all three areas by the NFYFC’s agriculture and rural affairs steering group, including a recent study tour to Brussels which led to their views being showcased on the website of the UK office of the European Parliament. A one-minute silence is to be held during the organisation’s AGM on Sunday 25 April as a mark of respect to those members of the farming community who have lost their lives in accidents at work. The tribute is part of the NFYFC’s efforts to help reduce the number of deaths and accidents in the agricultural industry as part of the HSE’s Make the Promise campaign, which is being championed by NFYFC vice chairman James Chapman, who lost his arm in a farming-related accident. Representatives from Defra, the European Commission and industry experts will join the NFYFC's Agriculture and Rural Affairs (ARAC) Forum debate at this year's annual convention in Torquay from 23-25 April. YFC members will debate the topics Your House, Your Europe and Your Future with a panel of key guest speakers to help make their plans for a successful future in farming a reality. Leading the Your House debate will be South West regional manager for the National Housing Federation (NHF) Catherine Brabner; and English Rural Housing Association’s chief executive Adrian Maunders. 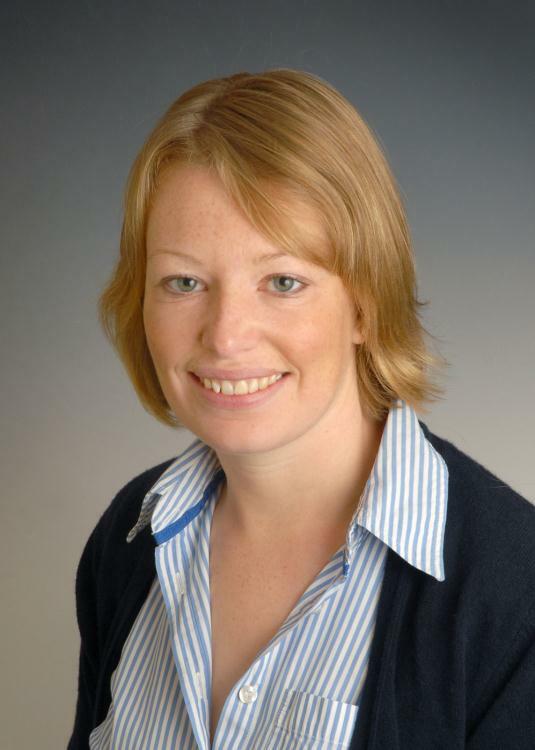 Defra's CAP Reform and EU legislation expert Nicola Clark; and the European Commission's (DG Agri) Mike Mackenzie, who is currently working on the future of EU rural development policy, will lead the Your Europe debate. Head of UK Professional Services for Savills Clive Beer will lead the Your Future debate. Katherine Sealy, chairwoman of the NFYFC’s Agriculture and Rural Affairs Committee (ARAC), said: “YFC members are proud to take on the challenges and opportunities necessary to forge our careers in farming and allied industries. So we are delighted to welcome lead industry experts and policy makers to our annual forum to air our concerns, ideas and discuss plans of action. “We will talk to Defra and the European Commission on future Common Agricultural Policy (CAP) reform to make sure we have a future that suits our ambitions. We aim to explore possibilities for future affordable rural housing and welcome the professional expertise from Savills for business planning. The ARAC Forum takes place at 11am on Saturday 24 April at the Riviera International Centre, Torquay, during NFYFC’s annual convention. The event is chaired by Katherine Sealy and supported by Defra and HOPS Labour Solutions Ltd.